The Les Clefs d’Or Canada – Niagara Region’s Golden Plate Award 2018 goes to Treadwell Cuisine! Niagara Region Director, Matt Sutherland, presents the 2018 Golden Plate Award to James Treadwell, co-owner and sommelier of Treadwell Cuisine. 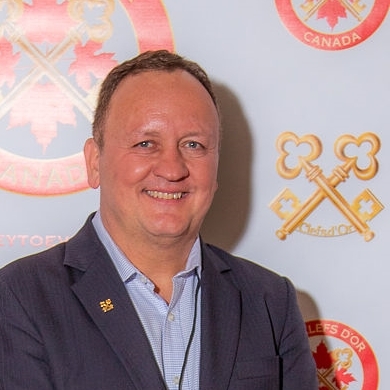 Every year, the Les Clefs d’Or concierges of the Niagara Region select a restaurant to become the Golden Plate Award winner. Atmosphere, service, quality of food, and how the restaurants work with us as concierges. Your Key To The City; The new travel blog written by Les Clefs d’Or Concierges.